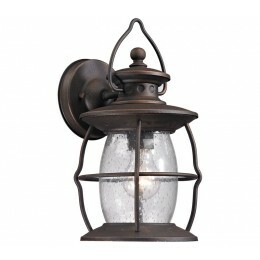 Historic charm is captured in the Village Lantern collection. This series has a clear glass fount inside a Weathered Charcoal finished wire frame. The handle that adorns the top of the fixture captures the authenticity reiminsant of the function these type of lights had years ago. 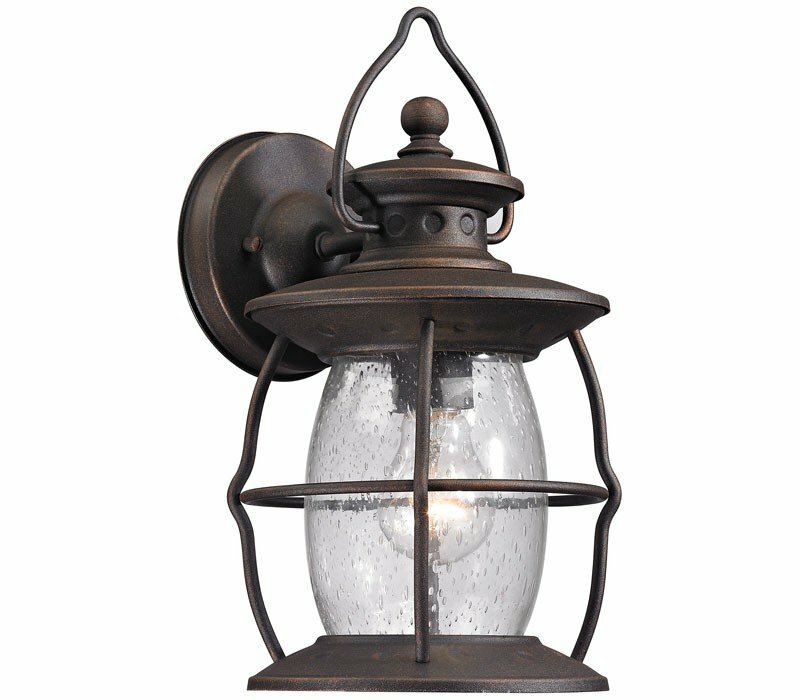 The ELK 47040/1 Village Lantern collection Outdoor Wall Lighting in Charcoal uses Incandescent light output and brings Antique style. The total wattage is 60 and the voltage is 120 volts. The ELK Lighting 47040/1 requires 1 bulb (not included). Additional Information: Shade-Clear Seeded Glass - Type 4.